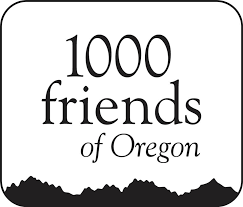 1000 Friends of Oregon is widely recognized as the state's leader in land use policy. For four decades the organization has successfully promoted land use policies and practices that create livable urban and rural communities, protect family farms and forests, and conserve natural areas. Yet the organization faced the question of how to continue providing effective leadership given changing state demographics, an aging membership, and shrinking public awareness of the impact of land use. Among the key issues was how to support communities that had been historically excluded from land use decisions that affect them. Kaleidoscope Consulting conducted an evaluation of needs and opportunities with a wide range of stakeholders, guided the team in creating of a theory of change, and established a set of work plans, goals, and objectives. Kaleidoscope also collaborated with Rose City NVC to help the staff establish new communication norms to guide complex, sometimes difficult internal and external conversations. These skills and tools helped 1000 Friends craft a multi-year strategic plan and lay the foundation for partnerships centered on equity and community self-advocacy.